How do you solve a problem like Snow White? In 2012, a pair of Snow White adaptations hit theatres, one of which being the best-forgotten mess Mirror Mirror. Snow White and the Huntsman, on the other hand, was starkly different from other any existing adaptations, both in bold tone and visual orchestration. With strong reviews and box office success, a sequel was all but assured. Just after its opening, though, Snow White and the Huntsman’s director Rupert Sanders was publicly exposed in an affair with his star, Kristen Stewart. Both have moved past the incident, but neither was invited back this time, leading to the follow-up having to narratively dance around gaping chunks of time and to sacrifice style for action. One doesn’t really hurt The Huntsman: Winter’s War; the other very much does. 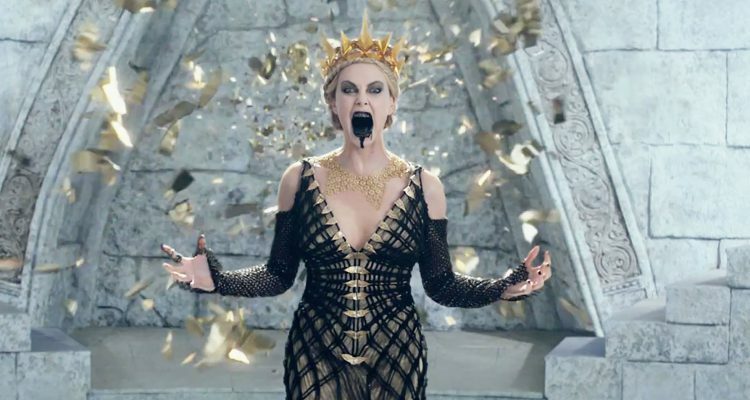 In Snow White and the Huntsman, the princess was aided in her quest of vengeance against the wicked Queen Ravenna (Charlize Theron) by huntsman Eric (Chris Hemsworth). An expert warrior, Eric spoke often of his lost love, killed years earlier. 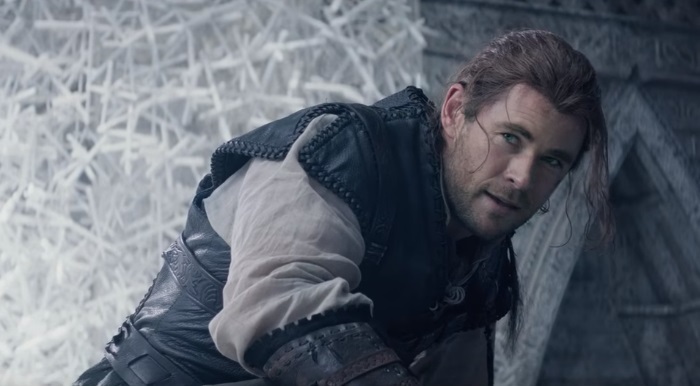 The Huntsman: Winter’s War tells that story, as well as turns it on its head. 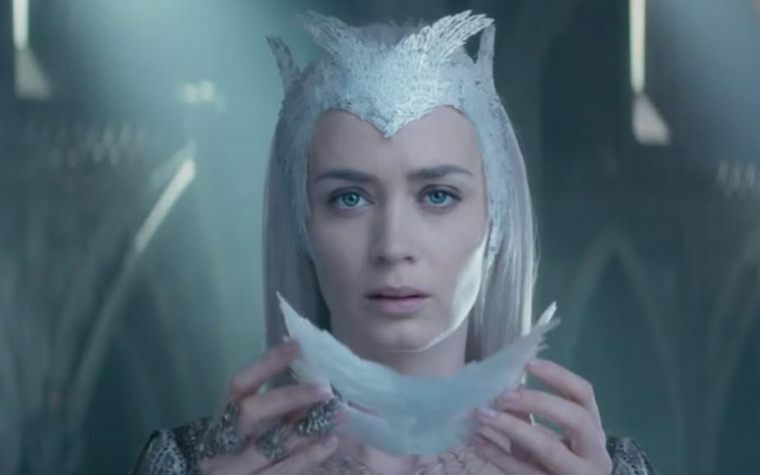 Eric’s story begins with Ravenna, years before she became Snow White’s stepmother, and her younger sister, Freya (Emily Blunt). Ravenna is a powerful sorceress who’s already using her powers for evil, but Freya has grown up believing herself to be power-less. When Freya’s infant child is murdered by her love, her power reveals itself to be that of ice. Retreating to a barren land, Freya builds herself a castle and kidnaps all the children in the land, training them from youth to be her army. Her two most promising child soldiers are Eric and Sara (who grows up to be played by Jessica Chastain). The fact Sara dies is no spoiler, inasmuch as it’s mentioned so frequently in the first movie. Her death is expected. What’s less expected is how The Huntsman: Winter’s War so admirably constructs itself around the events of the first movie without actually requiring its protagonist. Sara’s death occurs at the end of the “prequel” section of Winter’s War. But that’s when the “sequel” section begins, jumping forward to seven years after the events of Snow White and the Huntsman. It almost works. For all of the script’s ingenuity, though, it barely has any creativity. Every scene feels borrowed from somewhere else. It’s impossible to shake Frozen déjà vu with a lot of Freya’s scenes. Once four dwarves join the central quest of the movie, it turns into a visual echo of The Lord of the Rings, with Eric even getting some Aragorn-ian tavern scenes. One of the main relationships in the film feels very strongly influenced by two characters in last year’s Mockingjay, Part 2. And even the climax seems like it was photocopied from a certain galaxy far, far away. The cast is phenomenal. The film’s not stuffed to the brim with as many talented actors as the first movie, but the ones they choose for the main roles are impressive indeed. Chastain makes a fantastic impression with the scenes she has and Blunt continues the streak of powerful performances that started with Edge of Tomorrow and Sicario. Hemsworth is good, but sadly seems more out of his depth, against a more skilled cast this time. He’s capable of brilliant work when given a brilliant script — see: 2013’s Rush — but he’s not yet able to spin straw into gold the way Theron, Chastain, and Blunt are. At least his Scottish accent doesn’t sound quite as much like a drunk Gerard Butler this time, though. 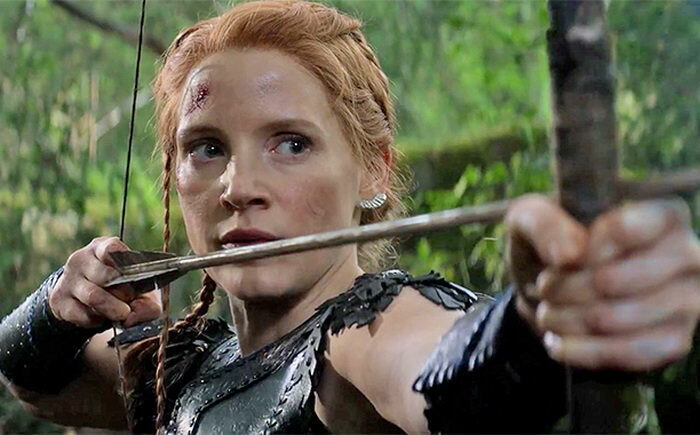 With the original director at the helm, The Huntsman could’ve been a much more capable sequel. Perhaps if Stewart had remained involved, it would have at least felt more intrinsically relevant, instead of like a somewhat unnecessary companion piece, even if the look would have changed. As it is, losing both turned out to just be too difficult a hurdle for Winter’s War to fully clear. It succeeds, but barely. Snow White and the Huntsman deserved a better “happily ever after” than this.